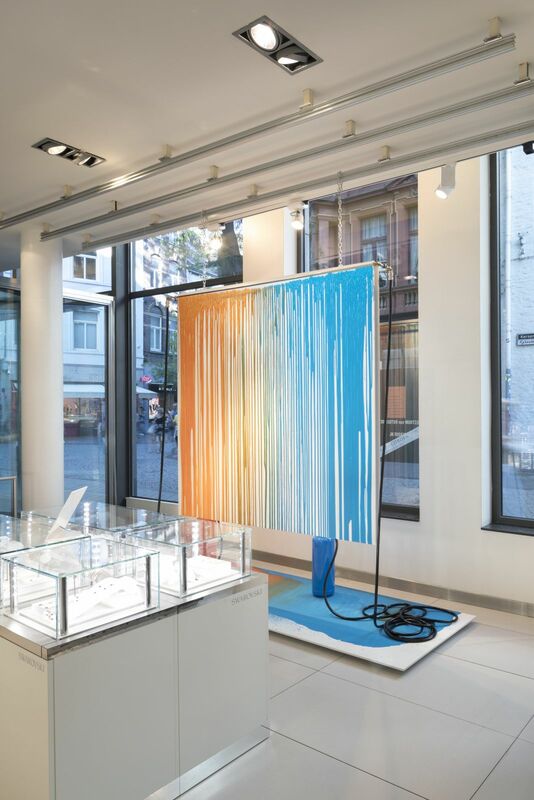 Over the past month, Rutger de Vries has created and exhibited works in seven branches of De Bijenkorf during a residency in Room on the Roof. 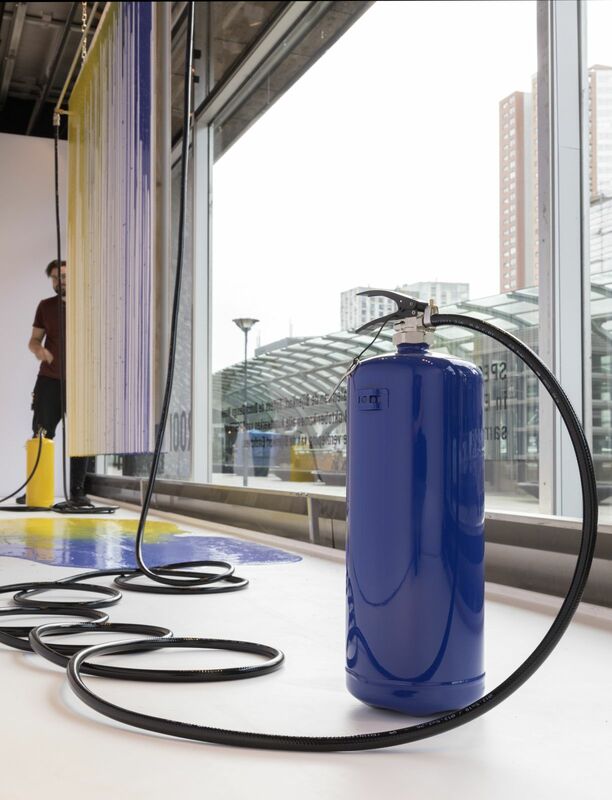 Room on the Roof is an artist residency in the tower on top of De Bijenkorf in Amsterdam. 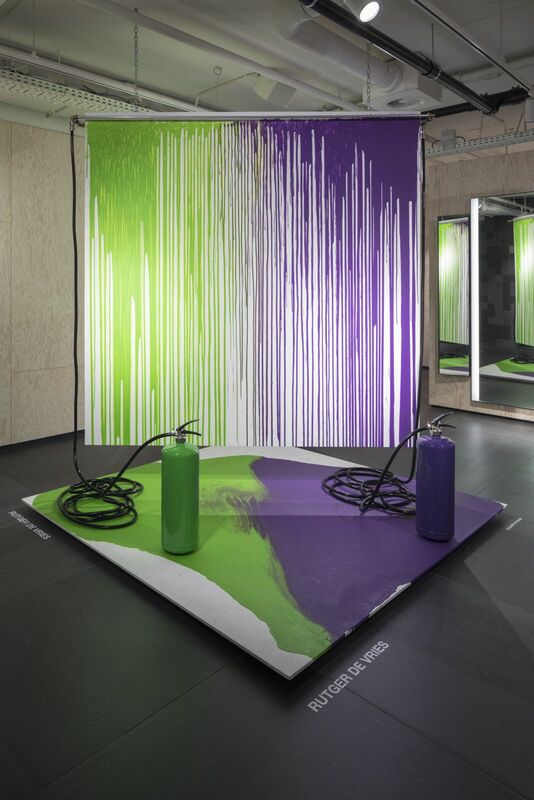 Situated in the heart of the city, this is a place for reflection, creation and a platform for new ideas. 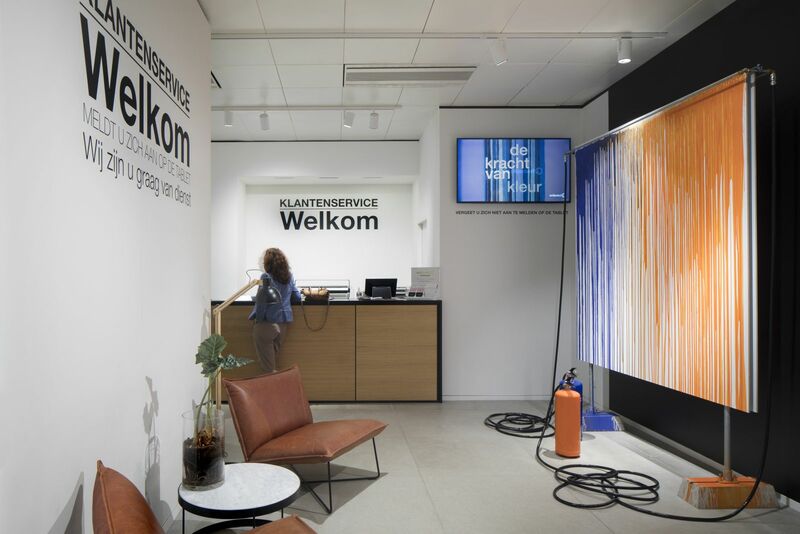 Having always been a prominent architectural component of the building on Dam square, the tower has now been renovated into a space where creativity can flourish. 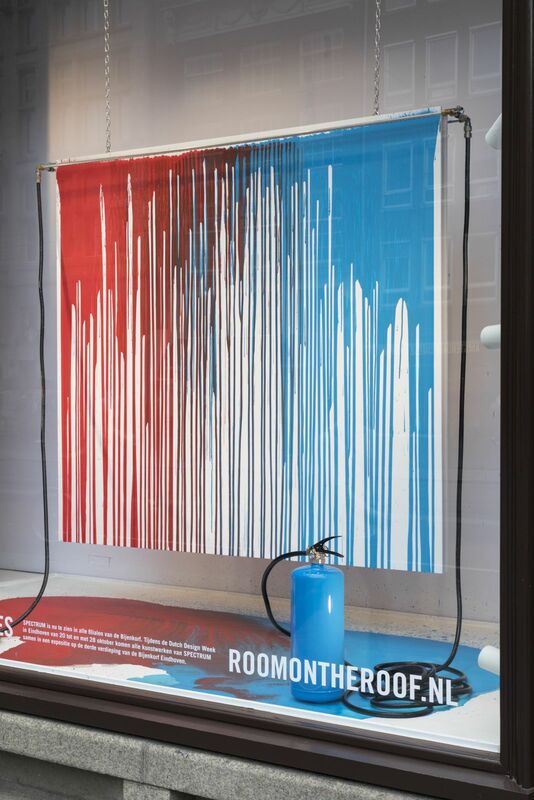 The room has a telescope for enjoying panoramic views of the city, a bed for dreaming and the location on Dam square as a source of inspiration. 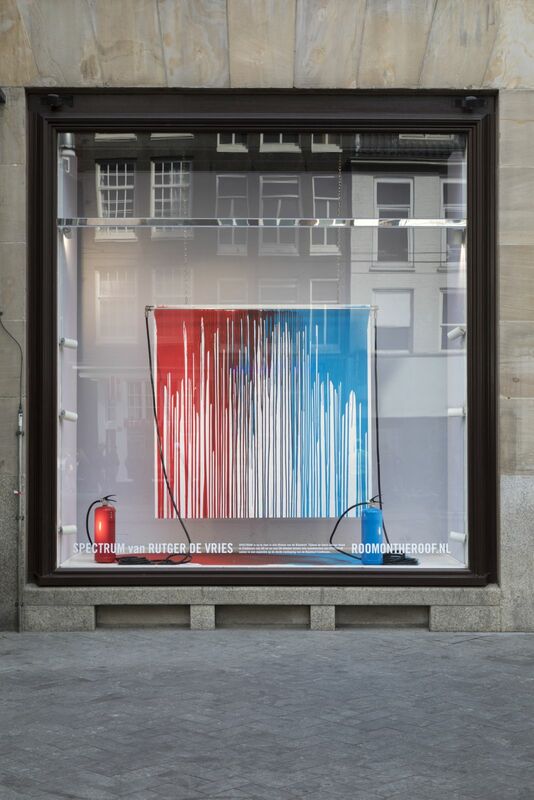 De Bijenkorf invites local and international artists, writers, musicians, architects and designers to the room to make work to be shown in the stores. 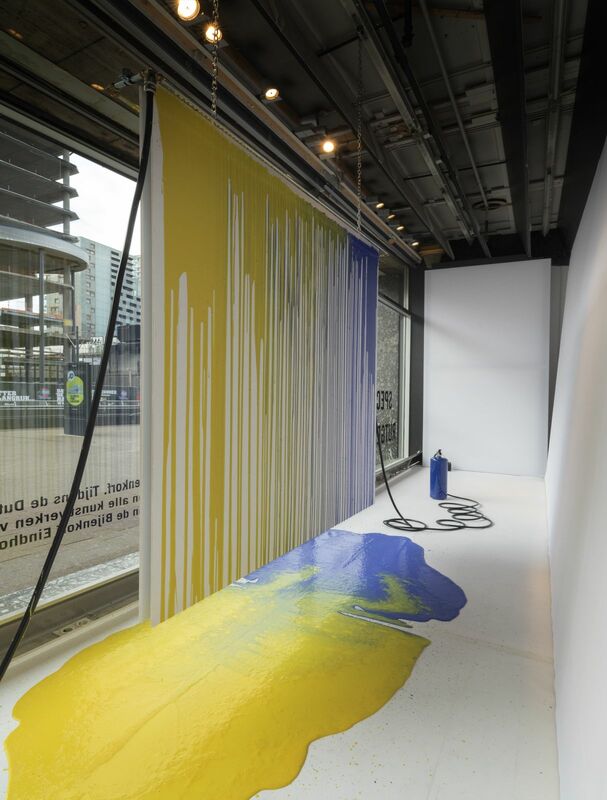 Work created from Room on the Roof is not limited to the roof. 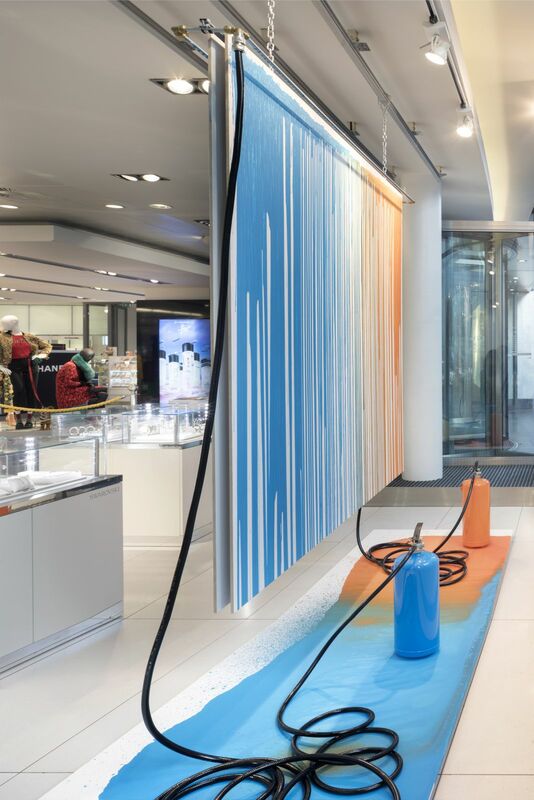 Whether it be music in the fitting rooms, a poem in the book department, exhibitions in the atrium, the staircase or the shop windows, the work can take many forms throughout the stores. 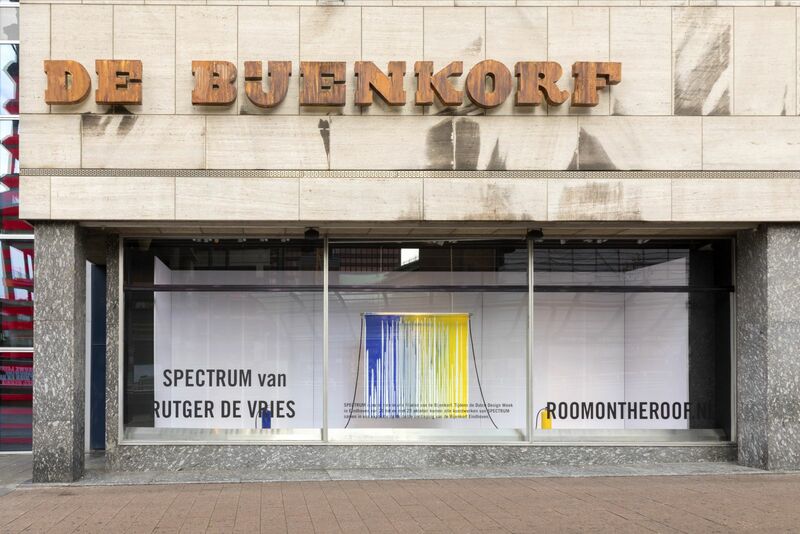 Rutger de Vries is currently holding a residency with Room on the Roof. 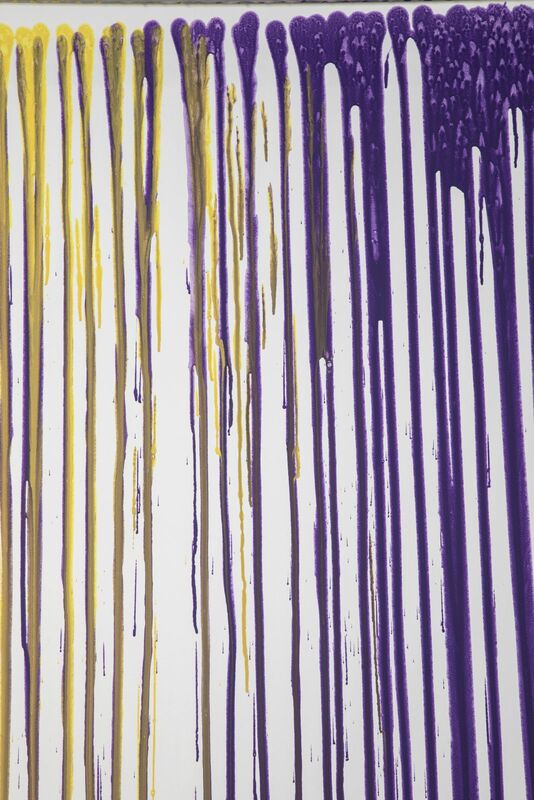 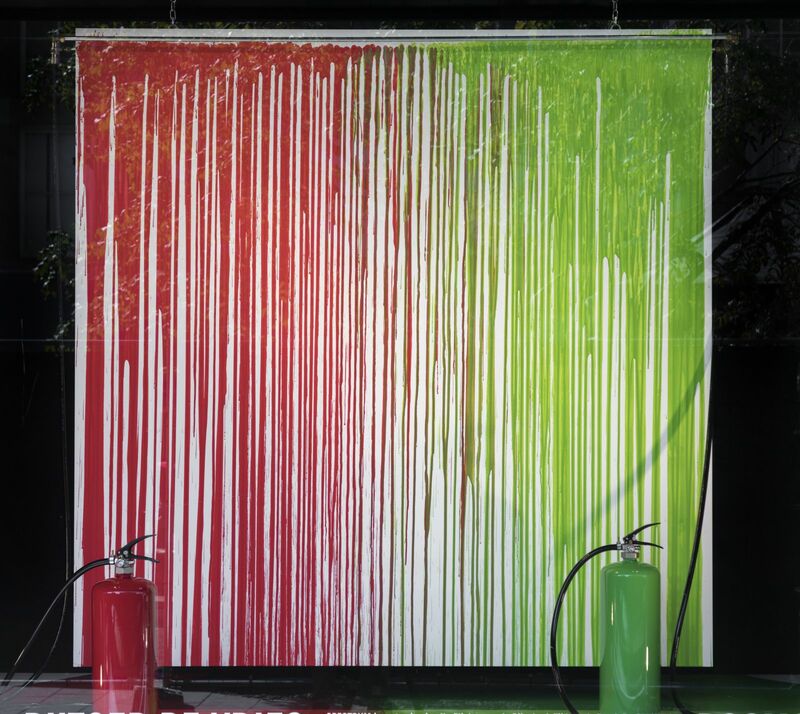 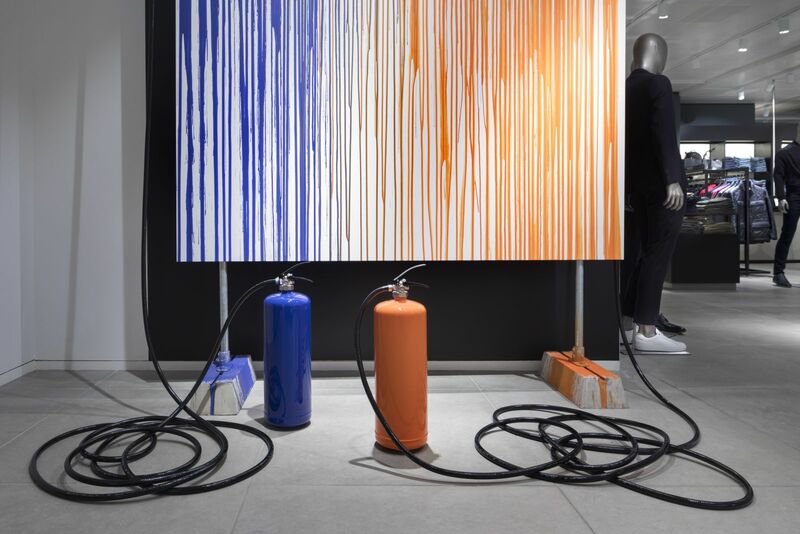 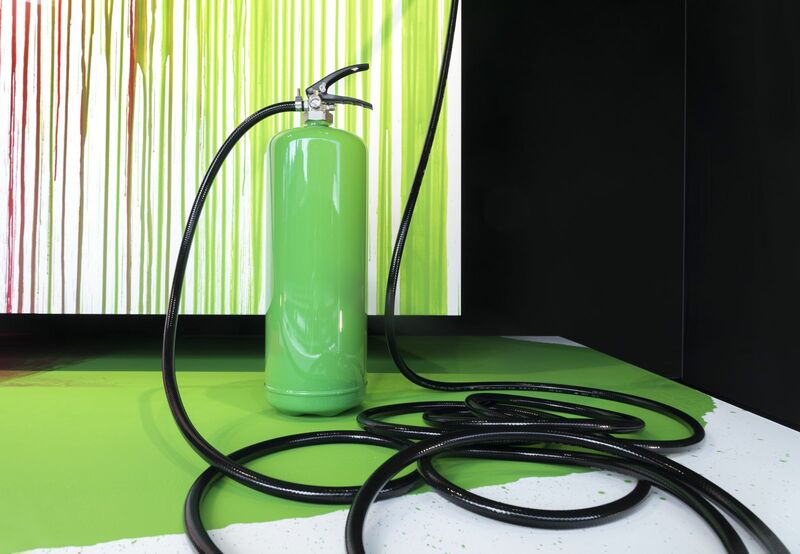 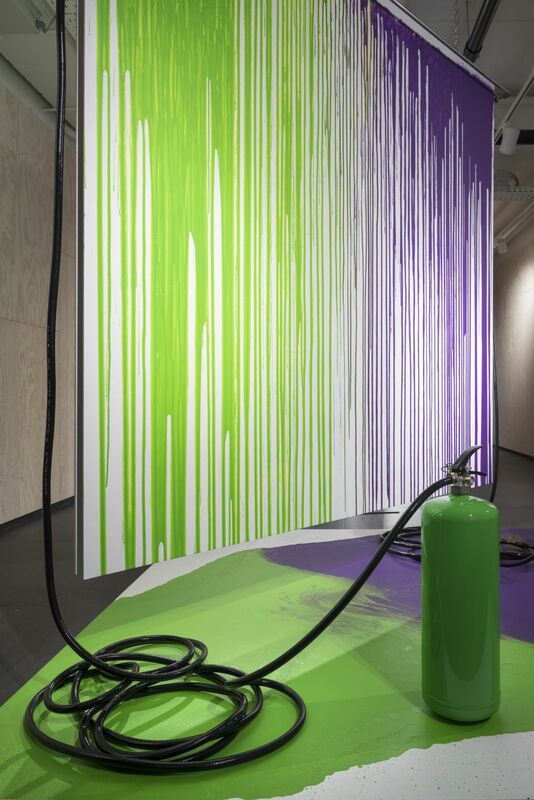 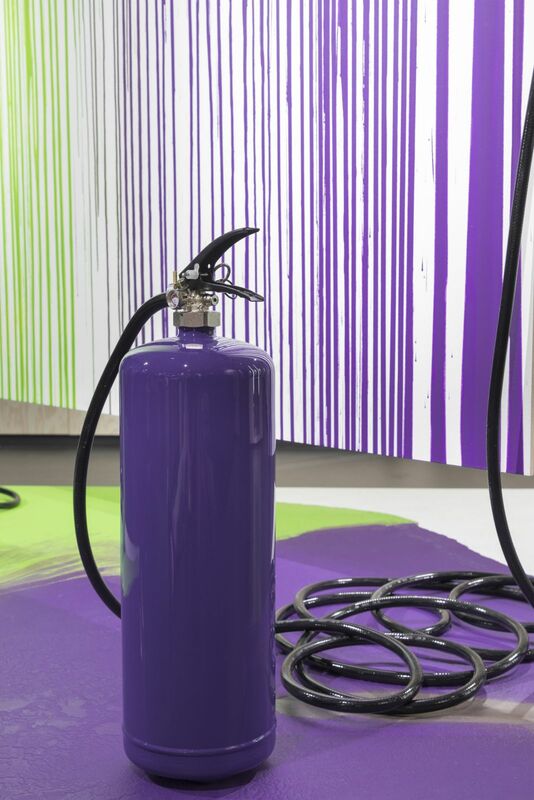 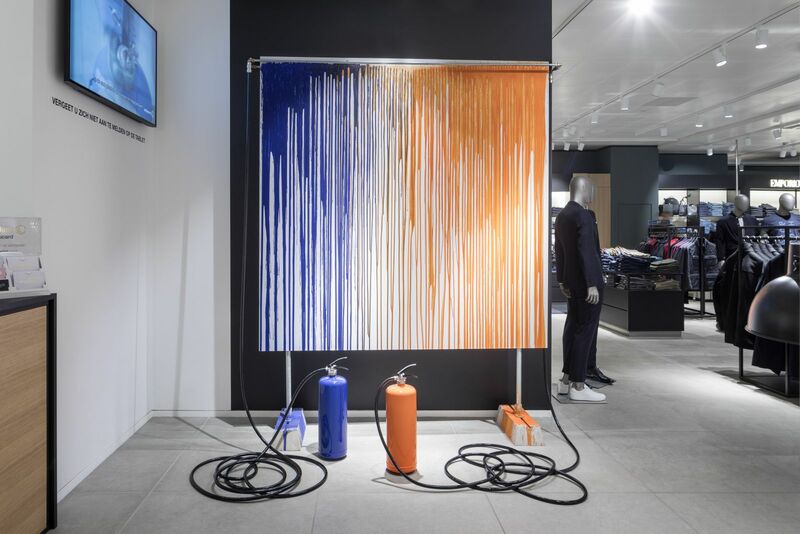 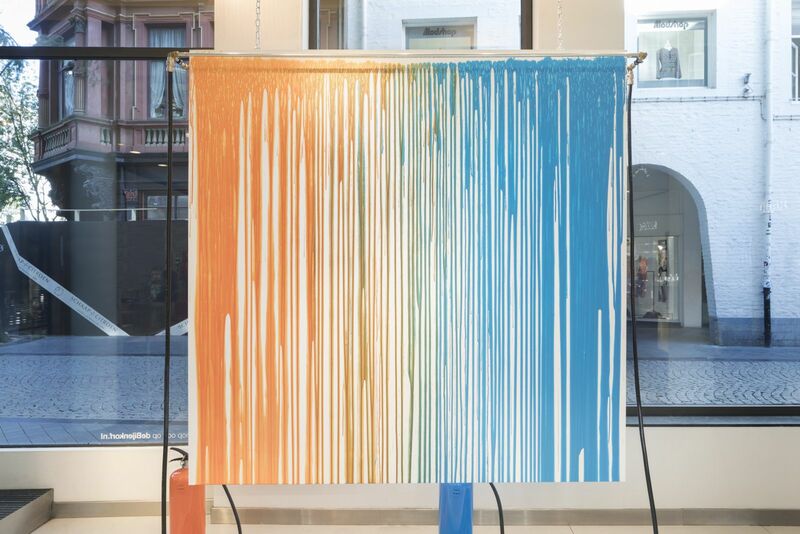 His project, SPECTRUM involves installations which consist of two fire extinguishers containing two – often complementary – colours of paint which are released at the top of a white background, allowing the paint to run freely down the canvas and merge together in a puddle beneath. 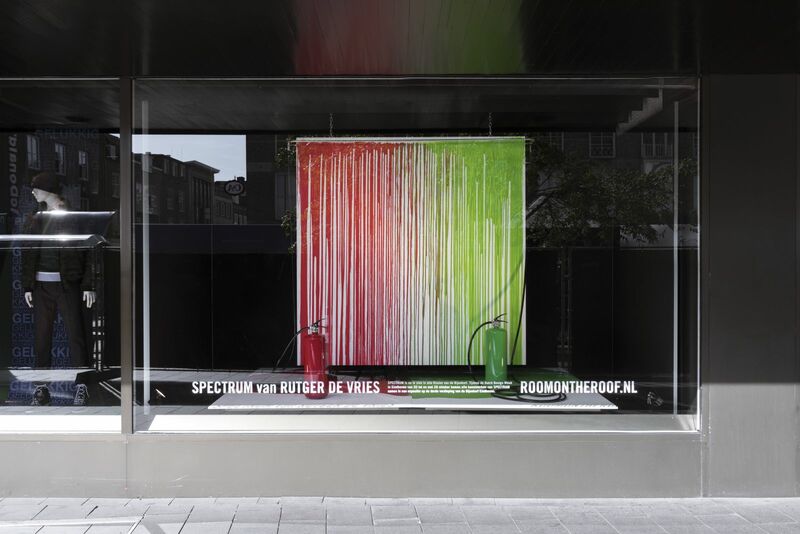 De Vries’ roots in street art makes this particular project very interesting. 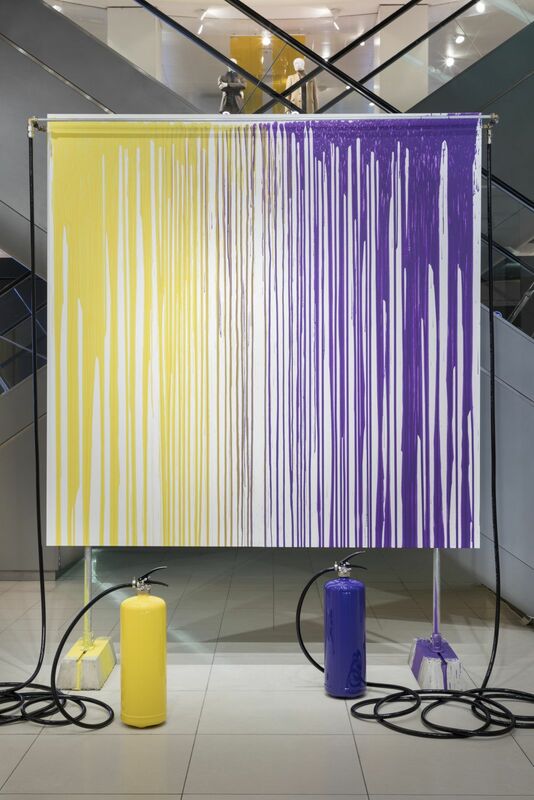 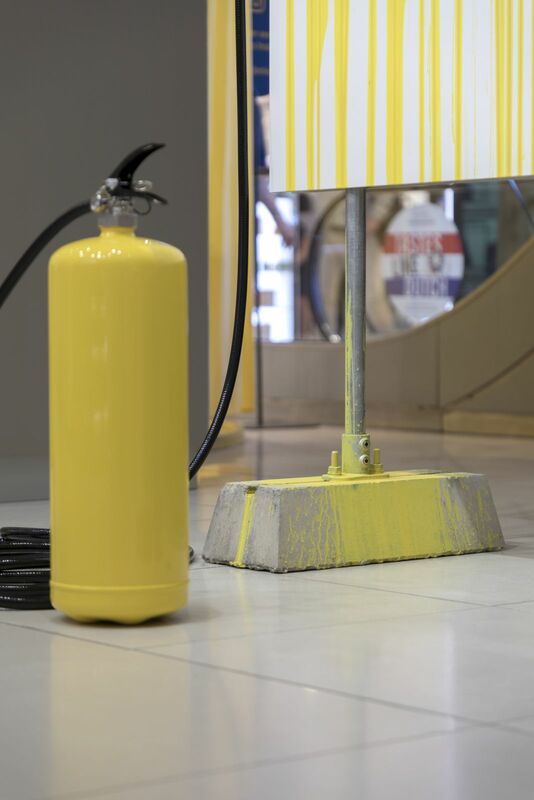 Exhibiting his installations in a setting such as De Bijenkorf relates to the notion of occupying a public space which is characteristic of graffiti, as a department store is an unexpected and untraditional place to experience visual art. 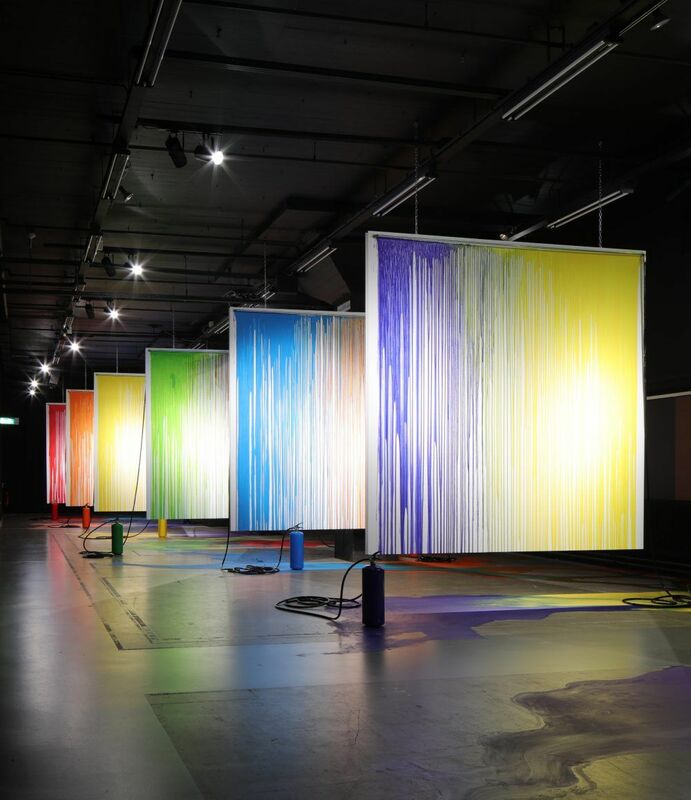 Currently, he is exhibiting his project in branches of De Bijenkorf in Amsterdam, Amstelveen, Den Haag, Eindhoven, Maastricht, Rotterdam and Utrecht. 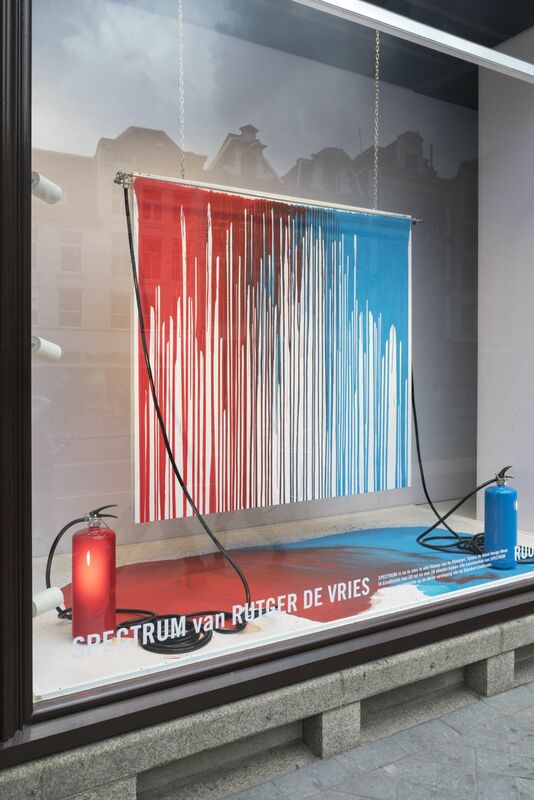 During the Dutch Design Week in Eindhoven from 20th to 28th October, all artworks from SPECTRUM will be exhibited together on the third floor of De Bijenkorf Eindhoven.